Thanks to its conveyer belt of delights, YO! Sushi took fast food to a whole new level; serving up small plates of sushi and sashmi, not to mention hot dishes and those weird sweet cakes that you wish you hadn’t picked. The simultaneous challenge and delight of the Japanese sushi chain is knowing how much to order/when to stop. Like a child told not to touch a hot stove, it’s all too easy to stare at the stream of dishes going past and before you know it your hand has reached out and selected a particular dish that you shouldn’t have. Trouble is, while you can eat a lot, sometimes small plates are just too small. Enter THE RAMEN; its sizable bulk makes the mini portions of avocado maki etc quiver in its shadow. 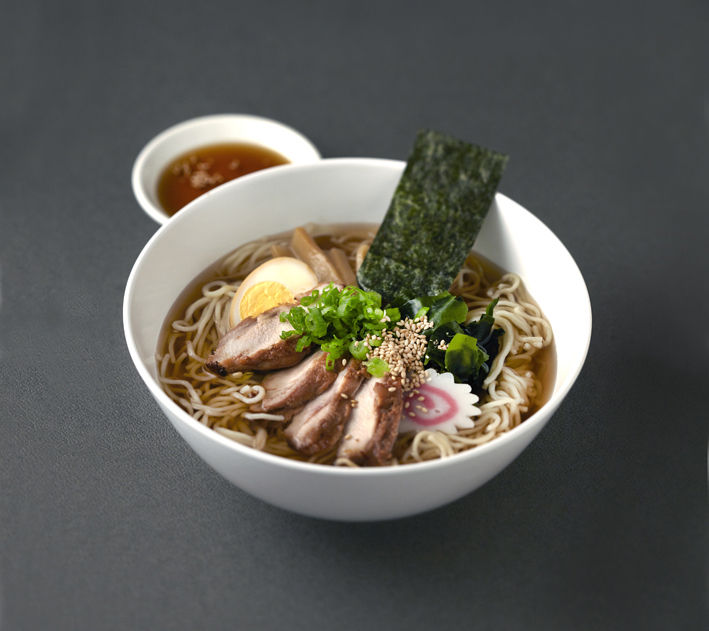 Five different ramen bowls, priced at £7 or £8 are now on the YO! Sushi menu, with a choice of chicken and miso, pork, beef, vegetable and fish. Steaming bowls of broth and noodles are garnished with hard-boiled egg, spring onions, a chic crispy seaweed rectangle, scallion and sesame seeds. Pretty and delicious looking, and big. The Twitter hash tag and ad campaign #RamenWins certainly makes sense. After all the teeny tiny plates that I usually deal with I feel a little like a Borrower trying to get my head (and appetite) around the seemingly insurmountable size of the ramen bowl. I am also worried that I won’t be able to order plate number two: duck gyoza. Time to think tactics. I decide to eat the noodles, fishcakes and egg in my Kaisen Ramen and leave most of the broth. Admittedly this isn’t too hard, despite smelling extremely fishy (not a date soup), the broth doesn’t have much flavour. 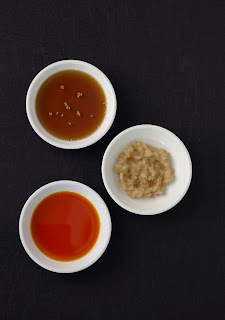 On another occasion this would be disappointing and I suppose the sesame oil, garlic puree and chilli oil that you can choose to add to your broth would alter the taste anyway. In conclusion: eat the ramen noodles if you like simple, clean flavours to your food, as a child liked tearing open sugar sachets and mixing into your dinner, and can’t be bothered staring at the conveyor belt your whole dinner. #RamenWins but (in this humble blogger’s own opinion) #DuckGyoza wins more.